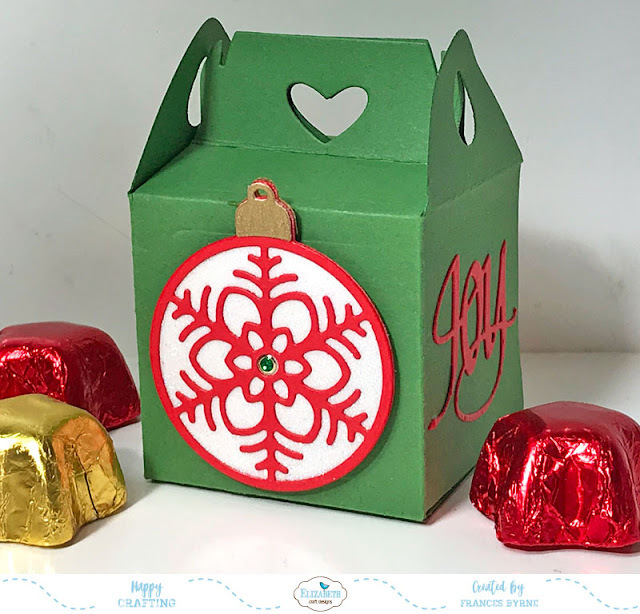 Today I am joining the A Way With Words Design Team to show some fun ways to use the Gable Box die to make gifts for Christmas. 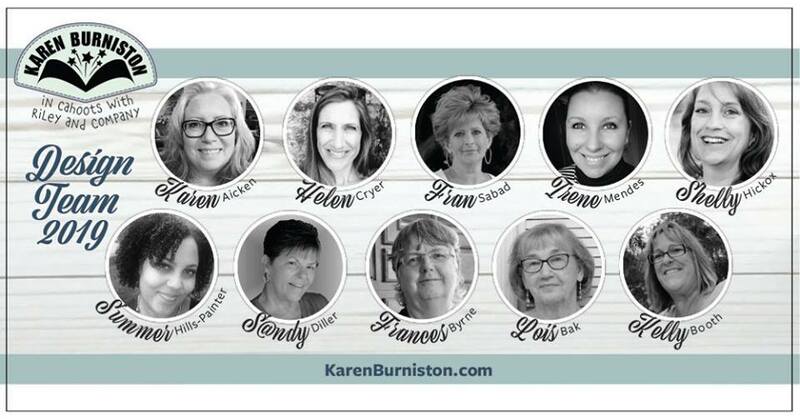 Don't forget to check out the Elizabeth Craft Designs blog once you are finished here to see some other amazing ideas. These fun boxes were made using products from Elizabeth Craft Designs. 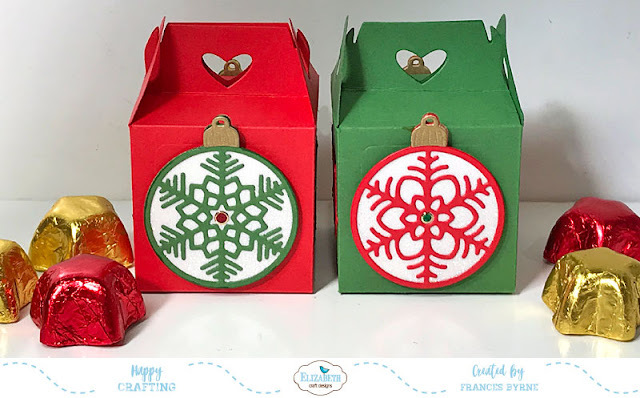 The Gable Box & Love Joy & Peace Christmas Ornament die sets are Suzanne Cannon/A Way With Words die sets. 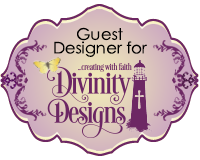 The Winter Ornaments die set designed by Joset Designs. With the Christmas just over a month away now, I thought these would be fun to make as favor boxes or to use as place cards, by adding a name to each box and having something fun inside. 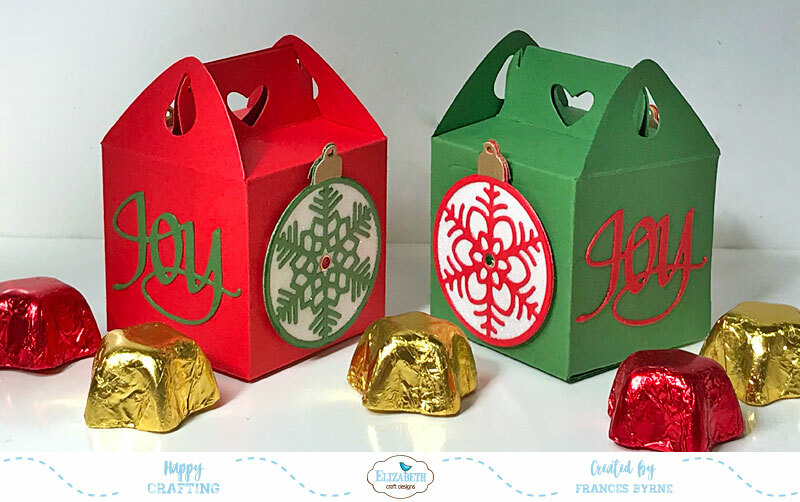 For these favour boxes I decided to keep to the traditional red & green Christmas colors. I die cut the gable boxes from red and green cardstock and assembled them using Clear Double Sided Adhesive Tape. For the ornaments, I die cut either a red or green decorative ornament from the Winter Ornaments die set. I die cut the solid ornament using White Soft Finish Cardstock which has Clear Double Sided Adhesive Tape on the front. I then removed the protective backing from the adhesive tape and adhered the decorative overlay to the solid ornament. I then covered the exposed adhesive with Warm Diamond Silk Microfine Glitter. To the centre of each of the ornaments I added a Glitter Dots Peel Off Sticker. Gold toppers were added to each of the ornaments. 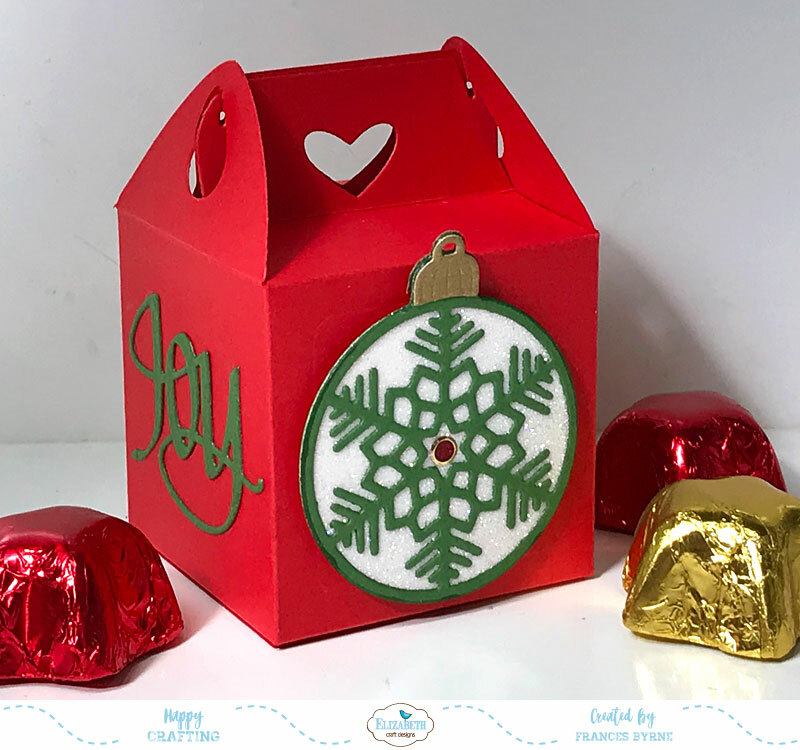 I added an ornament to both opposite sides of the box and to the other sides I added the "Joy" sentiment from the A Way With Words - Love Joy & Peace Christmas Ornament die set. Here is another look at my two favour boxes. Would you like to see more ideas seeing how to decorate these fun Gable Boxes. 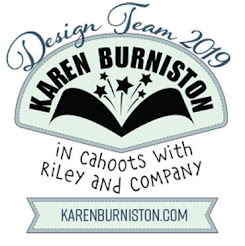 Suzanne Cannon has a fun blog post today of different way her Design Team and some of the Elizabeth Craft Design Team have used this die set. You can see that blog post here. Such a sweet little box and I like how you decorated it with the lovely ornaments.